Newsclip offers brand tracking services to clients, allowing them to access detailed information about their media coverage in traditional media, such as print, broadcast and online, on social media platforms. 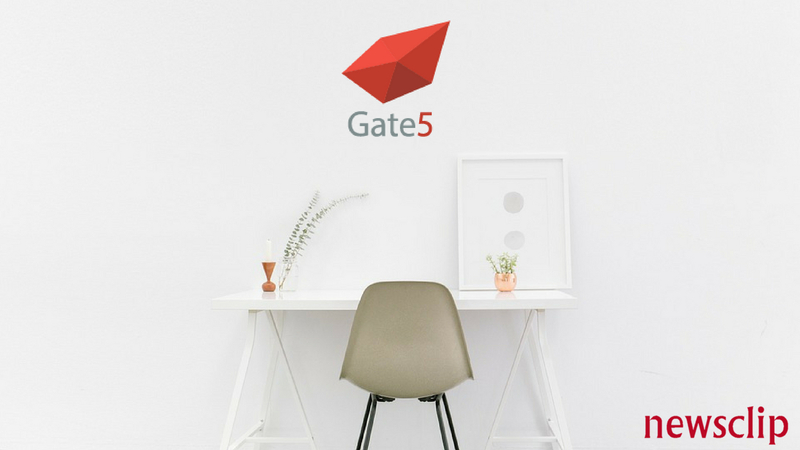 Gate5 is an incredibly powerful online platform that makes it easy for you to manage and interpret your media coverage. Gate5 displays all your media coverage, from traditional media to social media mentions, on one centralised online platform. You can access each mention of your brand (which is called a media clip) within minutes of it being published, broadcast or shared. At a glance, you can see all of your media coverage without having to switch between platforms for the different types of media. Why this matters: This makes managing your brand’s coverage that much simpler, as you will save valuable time by seeing all of your media clips on one platform. What happens when your brand is suddenly mentioned in an article, interview or tweet? Newsclip sends you notifications straight to your email address. You can choose the frequency of these notifications, whether you want to be notified as soon as a new media clip is available or at selected intervals throughout the day. Why this matters: Being instantly notified about mentions of your brand can increase your response time. It can also help you keep a close eye on developing or unfolding stories relating to your brand. Gate5 offers you a nifty automatic report generator, too. Reports can be downloaded as needed, where the information is 100% current at the time of creation. Period on period: Compare your coverage over different time periods. Circulation: Find out the circulation figures of publications who have mentioned your brand. Regional reach: See which regions your brand is reaching. Byline reports: Find out which journalists are covering stories about your brand. Advertising Value Equivalent (AVE): See which coverage has the highest AVE.
Why this matters: Having access to statistical reports – available outside of scheduled report periods – can be helpful when you need to present your brand’s coverage in a meeting. Gate5 has a custom date range feature, meaning that you can access information about your brand’s media coverage over any period. You can also use these insights to adapt your PR, marketing and communications strategy, ensuring that you are connecting with your consumers in the right way. Gate5 has interactive analysis features that can help you measure different elements of your media clips. Favourability: Whether your media clip was viewed as positive or negative. Solicitation: Whether the media clip was solicited or unsolicited coverage (press release versus unsolicited article). Proportion: The percentage of the clipping that refers specifically to your brand. Weighting: The PR multiplier on AVE.
Gate5 also has an easy-to-use “sortbin” data management feature that helps you categorise your media coverage into different areas of business interest. For example, you can filter your data into different “sortbins” for each brand or company division, events, projects, spokespeople, CSI, etc. Why this matters: Being able to analyse your coverage can help you ensure that your brand strategy is always at its best. Gate5’s easy-to-use features make managing and reporting on your media coverage simpler than ever before. Starting to think you need brand tracking and media intelligence? Find out more in our blog post, How to keep track of your brand’s media coverage.